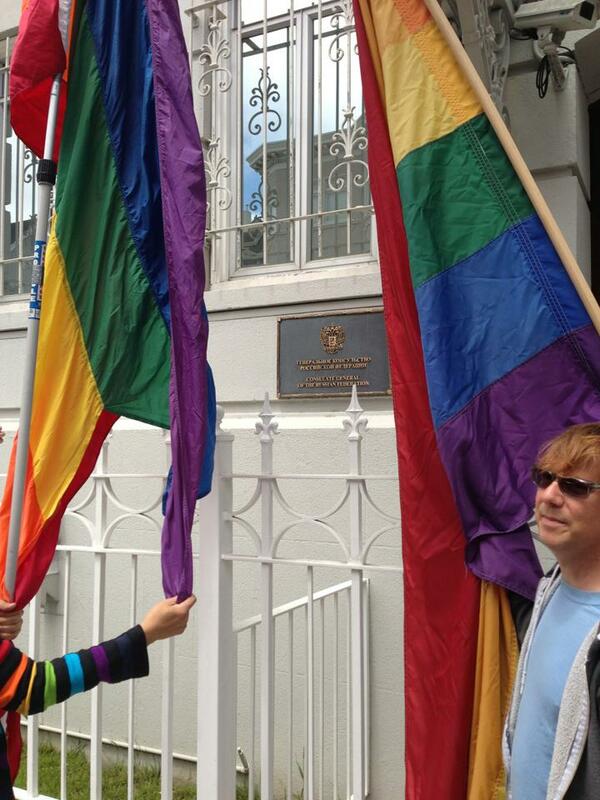 Russian Bigotry Against Gays – How Can We Help? 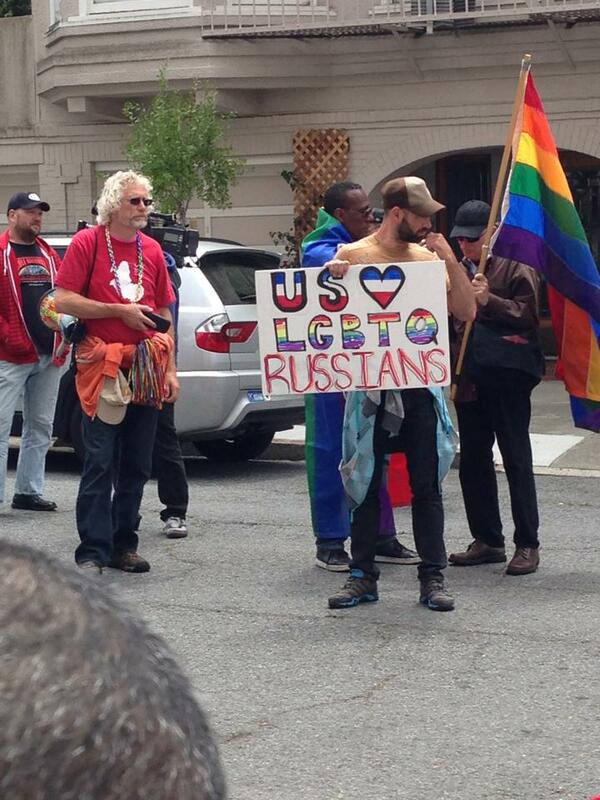 From Stoli Vodka boycotts to protests in front of consulates and embassies, those who support human rights are trying to find ways to curb Russian laws recently implemented and violently enforced against their LGBT citizens and, in truth all LGBT peoples everywhere. While some advocate non-involvement, history has shown that when it comes to the advancement of human rights , it is a world issue. There are countries in Africa, the Middle East and elsewhere that have policies or practices of putting LGBT individuals to death simply because of their sexuality. Efforts also need to be focused there. Russia takes center stage because it is a world leader nation that seems to have taken a dark ages approach. News reports from there show incident after incident of violence against anyone that advocates in any way the gay lifestyle. This includes visitors to the country. With the Sochi Winter Olympics ( they are host nation) around the corner and with recent international incidents like Snowden, the United States has taken an even more vocal approach against Russia, with the President cancelling a recent scheduled meeting with Putin in protest. But how we can really help? I think it is important to listen to those brave and courageous Russians who continue their civil disobedience efforts for their country. They know the best how to change things and how we can support them. 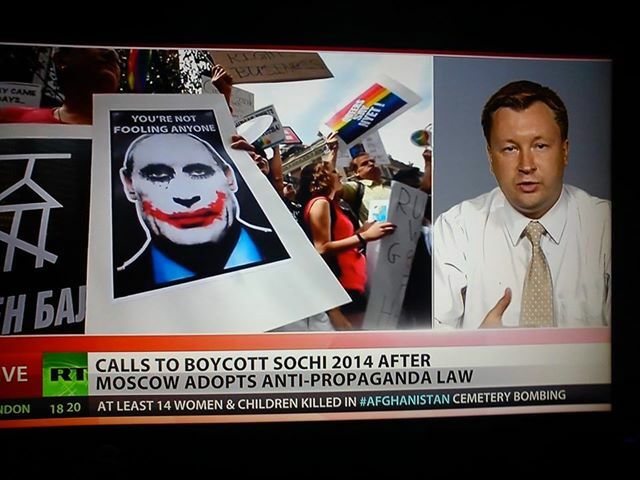 One of the most spoken protesters is Nicolai Alekseev , a founder of Gay Russia. A very vocal opponent of his government’s measures on this issue, his main strategy that he suggests to foreign allies is to put active and determined pressure on the politicians on Russia advocating these bigoted laws. He has asked us to pressure our government to refuse visa’s and cooperation with these politicians. He advocates the kind of pressure that really will weaken their resolve and hit them where it counts. Because of Russia denying official recognition of Gay Russia and other related LGBT organizations, the Gay Russia Fund has registered in Switzerland and opened a bank account. This would allow everyone to donate to the cause through an organization that really makes a difference. Trying the eighth Gay Pride in Moscow at the building of the State Duma and the Moscow mayor’s office, as well as the “Rainbow rally” in Hyde Park, Central Park in an exclusive report Galetki production. 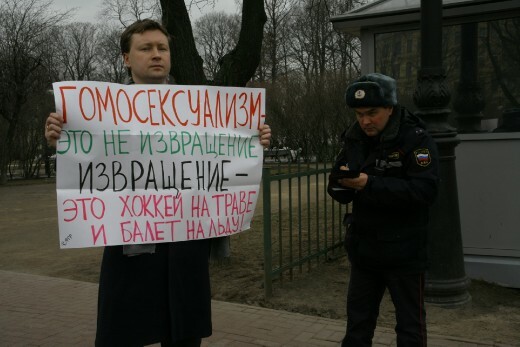 “Homosexuality is normal” is the placard which cost three gay activists to be arrested in Kostroma today for “propaganda of homosexuality”. 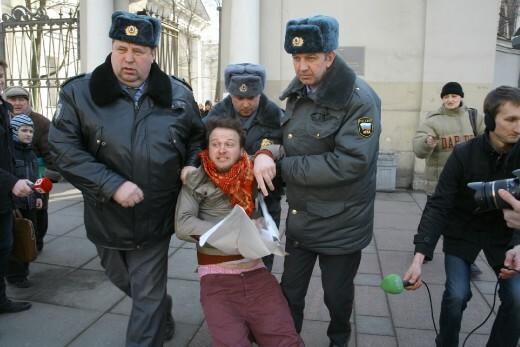 According to police, the activists will be fined 5000 Rubles each (US$170). There are petitions to the Olympic Committee, to our leaders and other measures being taken to keep visibility to this cause and affect change. 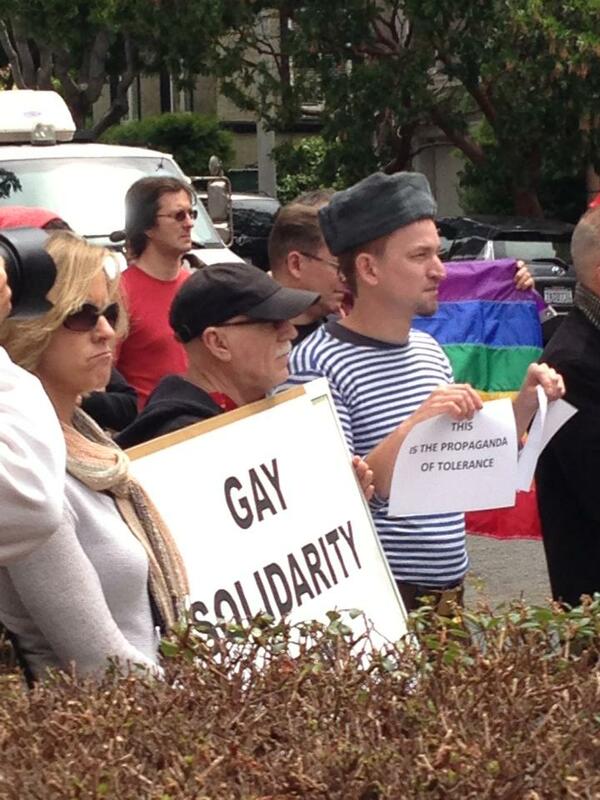 I recently participated in a protest at the Russian Consulate in San Francisco. It is simply one way to contribute to raising awareness on the issue. There are so much more effective ways to help. 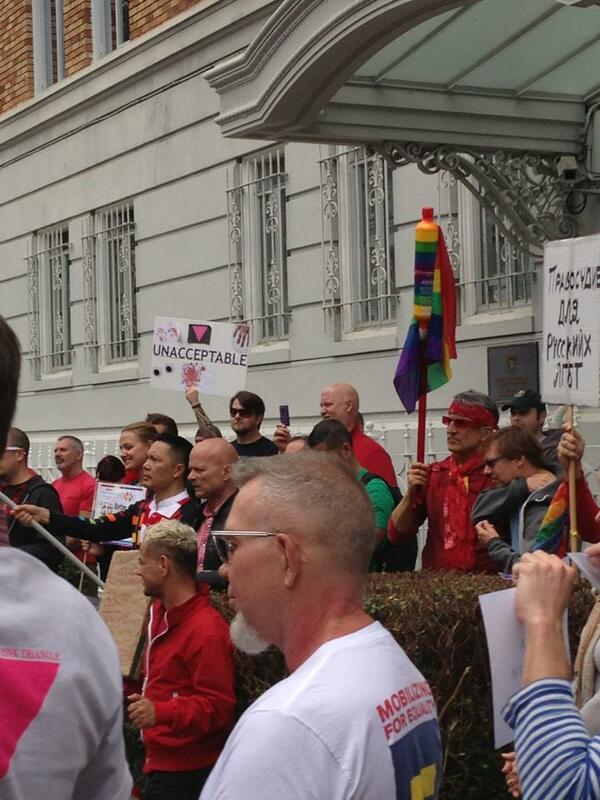 Keep up to date with efforts by Gay Russia. They are the best source to find out what makes a difference. To courageous individuals like Nicolai, we will do all we can to help you.